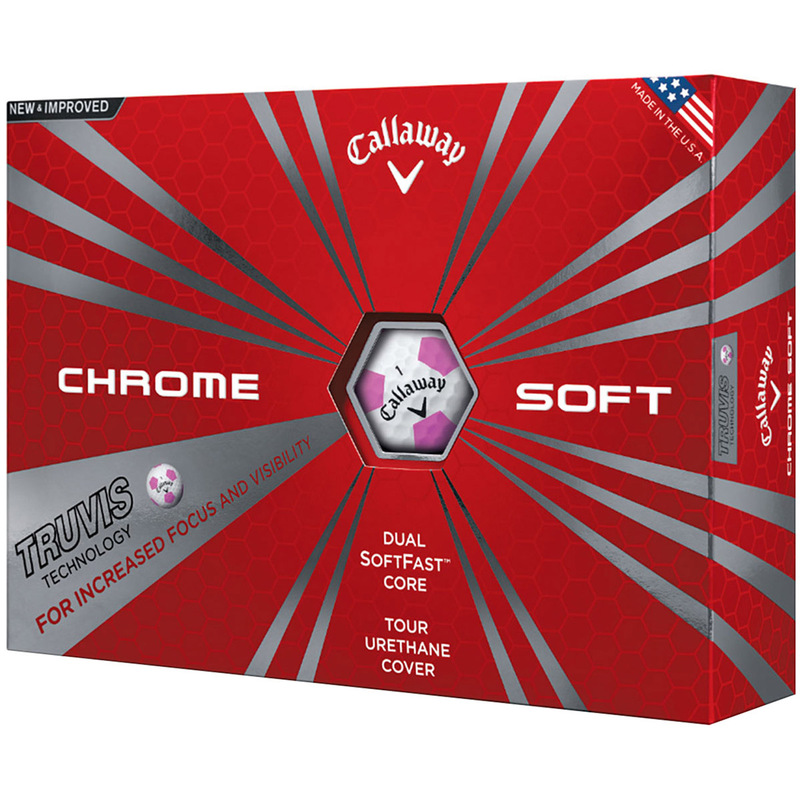 Take your golf game to the next level of performance with the Chrome Soft Truvis golf ball. The balls have a proprietary Dual SoftFast Core™ for fast ball speed from the driver, 4-piece construction leading to even more control throughout the bag, low compression for extremely soft feel, and a Tour Urethane Cover. From a 100 yards in from your target, the 4-piece construction, mantle layer and tour urethane cover all combine for even more control, and spin for aggressive shots into the green. The red and white Truvis pattern has been designed specifically to maximize your view of the golf ball for better focus and visibility, and hopefully lower your score. 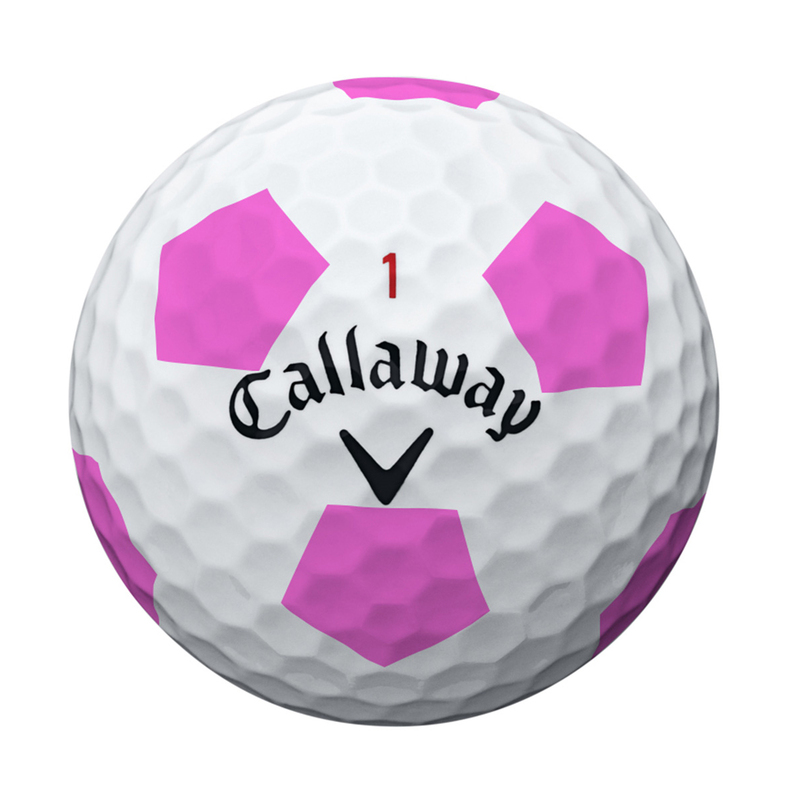 Callaway Golf is the only golf ball company that has the new Dual SoftFast Core technology. Engineered for fast ball speeds off the driver with low spin for players needing spin reduction to optimize their launch conditions off the tee. HEX aerodynamics with 332 dimple pattern make the ball flight even better in all conditions. The Dual SoftFast Core has an incredible soft feel and lets you compress the ball on iron shots for long, straight shots and amazing feel around the greens.